Though only for twenty-seven days, from 16th April 1677 Sicily had the experience of being ruled by a woman, the Vicereine Eleonora de Moura, widow of the Viceroy Aniello de Gusman, Marquis of Castel Roderigo, who on his deathbed nominated his young wife as his successor’. On reading about these historical facts Camilleri became fascinated by Donna Eleonora, and by the exceptional skill and statecraft with which she carried out her duties. An intelligent, independent woman, she used the few days she spent in charge of Sicily to pass some significant laws, lowering the price of bread, creating a magistrate responsible for trade, and reducing taxes on people with large families. The measures she took in favour of women were revolutionary: she re-established a protected home for threatened virgins and another for ‘penitents’, former prostitutes who wished to reform their lives; and she set up a royal dowry for girls from poor families who wished to get married. Her attitude inevitably brought her into conflict with local interest groups and with the Church, which felt its supremacy to be under threat. 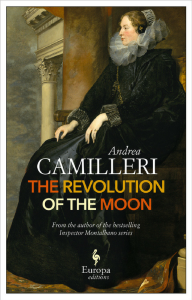 The historical events, however, are only the starting point for Camilleri, who constructs a suspense-filled novel around the figure of the Vicereine. We are immersed in the atmosphere of the Palermo of 1676, a city blighted by poverty and famine and the scene of violent revolts against the crown. ‘This kingdom does not recognize God or Your Majesty’, Viceroy D’Ossuna had written to the King of Spain at the beginning of the century. ‘Everything is sold for money, including the lives and possessions of the poor, and even Justice’. So the novel develops, with palace intrigues, attempts to undermine the Vicereine’s legitimacy, crimes committed in the Park of the Favorita, secret passages in the Royal Palace, betrayals and bribes. The powerful feudal lords, the bishop of the city and the Court of the Holy Office conspire against Donna Eleonora, eventually finding a legal pretext for putting the end to her short period of office and forcing the King of Spain to recall her to her homeland. 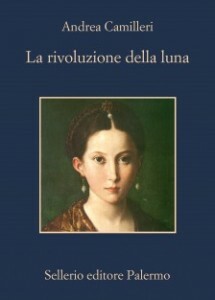 Her departure from Palermo brings an end to this period of revolution which lasted one lunar cycle.